When you start "E.M.DVD Copy", you can click the "Rip the button", the E.M. DVD Ripper will run, you'll be asked to select a video format that you want to rip; Please select "Nokia" to rip and convert,then please select suitable Nokia cellphone. Select audio subtitle, Angle, Deinterlace, then click the "OK" button. You can select PGC or chapter that you want to rip. 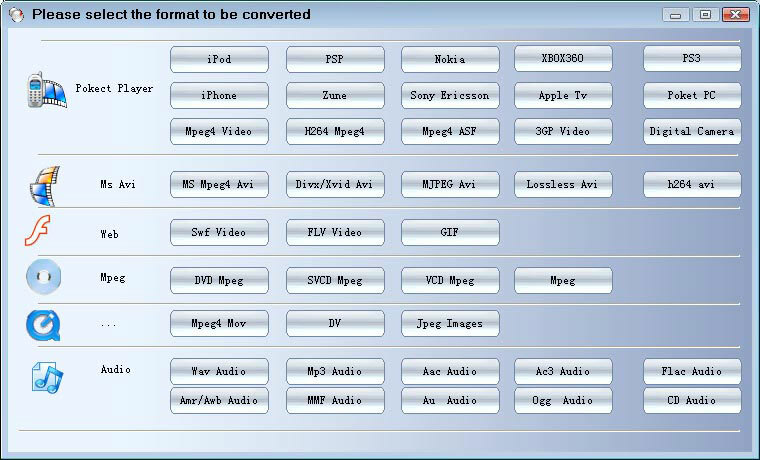 You Change output video format by click the "Change Format"
Reset DVD input audio subtitle, Angle, Deinterlace. You can change default ripped folder. 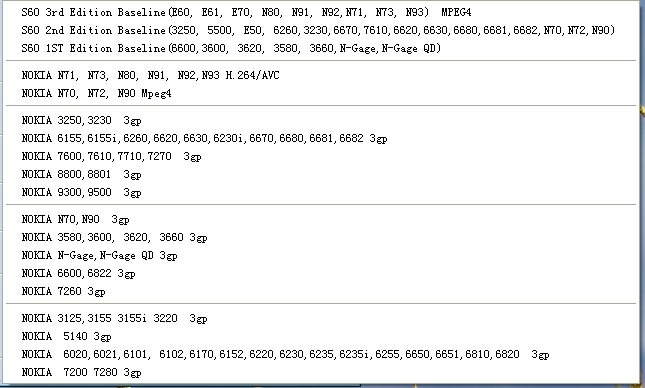 Click the "Settings" Button to change video frame rate, bit rate, aspect ration and audio bit rate, sample rate. Click the "Rip Now" Button will start Rip. When you click the "Rip Now" button, the progress of ripping will be popped up. You can click the "Cancel" button to stop ripping and converting.